It's late in the game, but Warner Bros. is spending an extra $9 million to make Green Lantern look better. 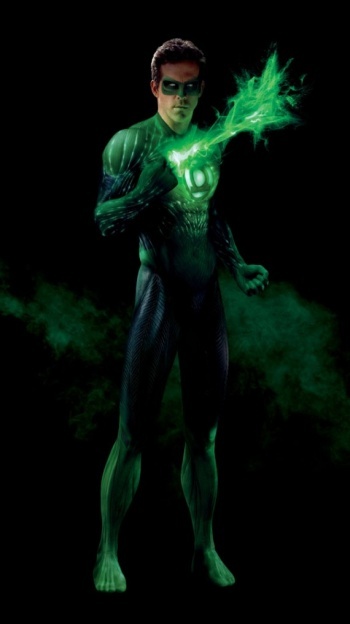 Warner Bros. acknowledged that its visual effects in the original Green Lantern trailer definitely left a lot to be desired. That said, the footage that on display at WonderCon looked a lot better and left fans much more satisfied with how the movie looked. However, it's been revealed that the special effects budget for the movie has risen by another $9 million, and another effects studio has been drafted to do some more work on the film. "Such pics now routinely fit the description of a 'troubled' project, with 'troubled' the new normal. And key players in the f/x biz say that with crunches mounting, it's only a matter of time before some f/x-heavy tentpole can't meet its delivery date -- a nightmare no studio has faced since Titanic. Should a tentpole be forced to change dates, the ripple effects on a studio, its rivals, exhibitors and tie-ins will be widespread and injurious to bottom lines." Apparently Green Lantern isn't the only movie that's having last-minute visual effects being done. The studio working on Captain America is scrambling a bit because the film's on a somewhat shorter schedule than everyone would prefer, but deadlines are being met and it looks like the film will be released when it's supposed to. Meanwhile, Transformers: Dark Side of the Moon has at least one studio pulling seven-day weeks with twelve-hour days; reportedly, the studio's Easter holiday was canceled for the effects artists. However, while the last minute effects with Green Lantern sound a little suspect, Warner Bros. has been quick to assure fans that the movie is on track. Chris de Faria, Warner's exec VP of digital production, animation and visual effects, said "There is no problem on Green Lantern. We try to add things to make the movie better until the 11th hour. That doesn't mean we're risking the movie up to the 11th hour." Here's hoping these additions will make for a good movie.